Mumbai, Dec 24 (IANS) When the first look of "Dhobi Ghat" was revealed, director Kiran Rao did not want her husband and actor-producer Aamir Khan to attend the event so that the spotlight doesn't shift from the movie to him. But who can keep Aamir away! "I was never meant to be away from the promotions of the film. I'm very proud of the film and I'm part of it, since I'm the producer and have also acted in it. Even Kiran can't keep me away from it," Aamir told reporters here Friday. "I'm happy to be a part of it and I will be part of it till the end," he added. "Dhobi Ghat" that stars Aamir along with Prateik Babbar, Monica Dogra, Kriti Malhotra, Kitu Gidwani and Nafisa Khan is a film about four characters from different classes of society and how their lives are intertwined. The film is Kiran's directorial debut. It is slated to hit the screens Jan 21. Asked if he helped Kiran in the filmmaking process, the 45-year-old actor promptly said: "If I had not helped her, she would have killed me. As her husband, it is my duty to help her always and as it is, as an actor, whatever film I'm connected to, I feel I'm a team player." 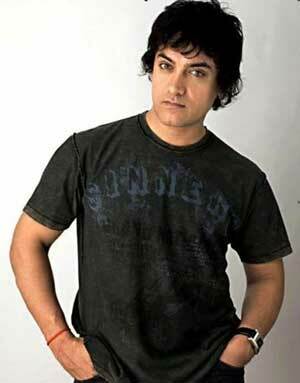 Aamir is playing the role of a painter in the film but he revealed that initially he wanted to take up Prateik's role. "When I heard all the characters, I really liked Prateik's character and wanted to do that. But the character requires someone who looks 18-19 years old. So to prove it to Kiran that I can look that young, I did ‘3 Idiots'. But she still didn't agree. Thankfully she gave me some role in her film," he said.